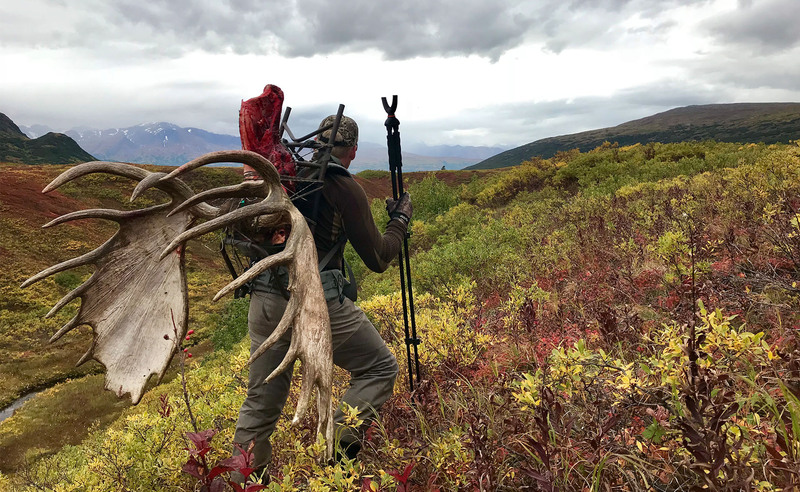 Despite narrowly missing out on the moose of a lifetime the previous day, Ian Harford and Steve Wild are up early once again eager to head back into the incredible Alaskan wilderness for yet another epic hunting adventure. A new day brings with it new challenges – the biggest of which is now time. 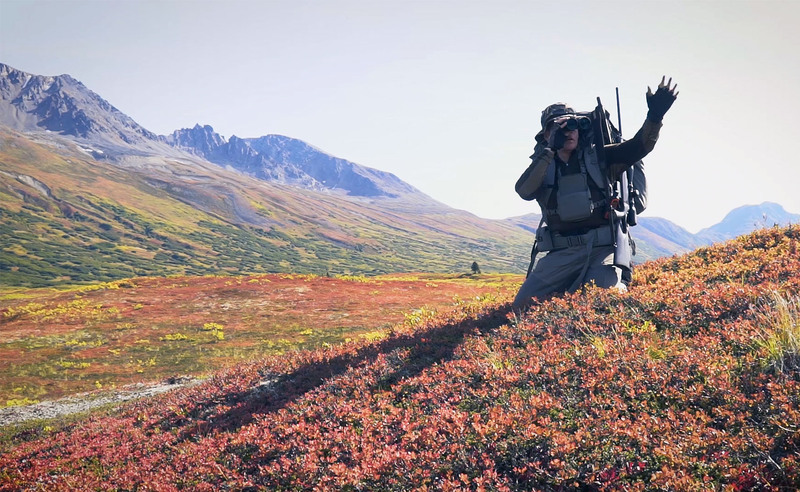 Video: Self-Guided hunting in Alaska: Episode 9 – Epic Alaskan Moose hunt. A new day brings with it new challenges. It would be easy to get disheartened after the disappointment of yesterday, but Ian and Steve are both experienced hunters and have learned that failure must first come before success. 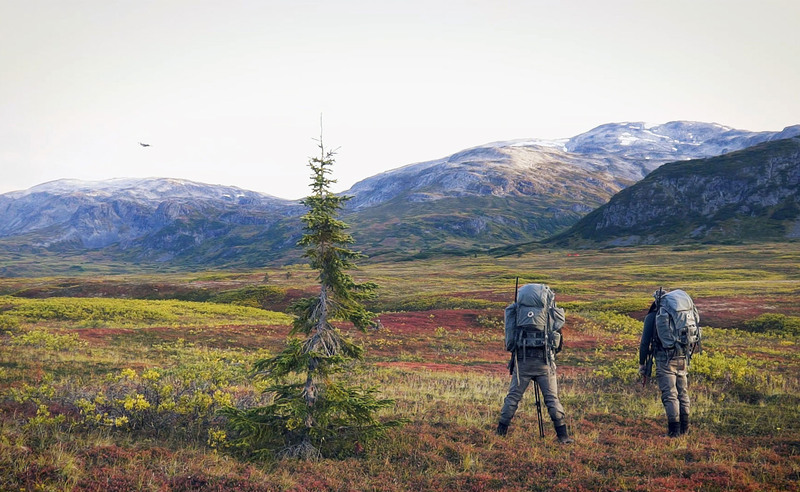 With their time in Alaska coming to an end, this is certainly Ian and Steve’s last chance at harvesting a bull moose. They must work like a well-oiled machine to be successful in such challenging conditions. 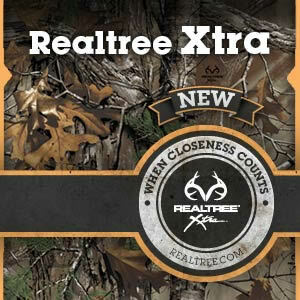 Today is ideal weather for hunting as bright sunshine fills the sky and a slight breeze covers the surrounding area. 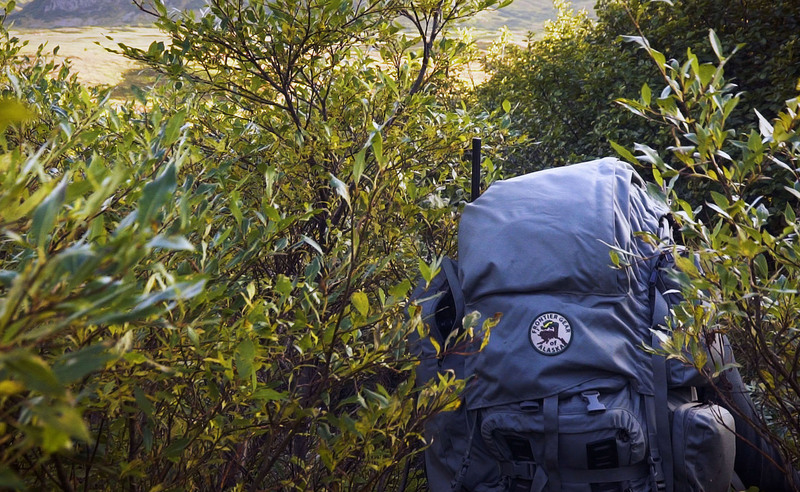 Their first task of the day is to scan the terrain through their binoculars and spotting scopes, searching deep into the vegetation for signs of a bull. With such a vast expanse to hide in, their best option is move position and work around the dense cover. Once again it’s Steve that spots signs of a moose in an alder patch. They discover a spectacular bull with three unusually long brow times on his right side. 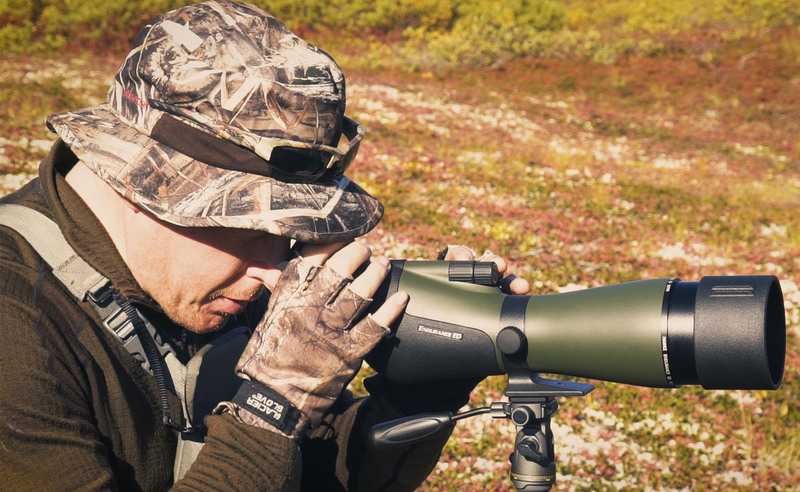 Steve continues to watch the bull intently through his binoculars as he makes his way across the ridge. Ian and Steve decide on the optimum of action. They move separately with one watching the bull at a distance while the other moves to gain an advantageous position downwind. Strong communication is key here, Ian and Steve use hand signals to relay positional information. After tackling some truly challenging terrain, Ian’s hard work is rewarded with an elevated position with panoramic views downwind of the bull. He must now pick his way down the ridge carefully and deliberately, scanning every nook and crevasse. It’s surprising how little cover can completely conceal a giant bull moose. Ian spots the bull lying in the edge of a willow thicket with his head resting in the meadow. Although excited and nervous, Ian must remain calm and consider the options, identifying the most advantageous approach. Ian decides on a kneeling position and sets up his rifle on his trusty Vanguard B62 shooting sticks. He lets out a few moose calls, which draws the bulls attention. The bull reacts perfectly to Ian’s calls and offers a perfect neck shot, he carefully squeezes the trigger and the bull moose goes down. It has been another incredible day in the Alaskan wilderness; as soon as Steve arrives he begins butchering the bull whilst Ian clears a trail through the alders and down to the river. With daylight fading, they load the first pack of meat and begin the long journey back to camp. Their success is recognised by the US Air Force who appear to have scheduled a fly by in celebration of the harvest. 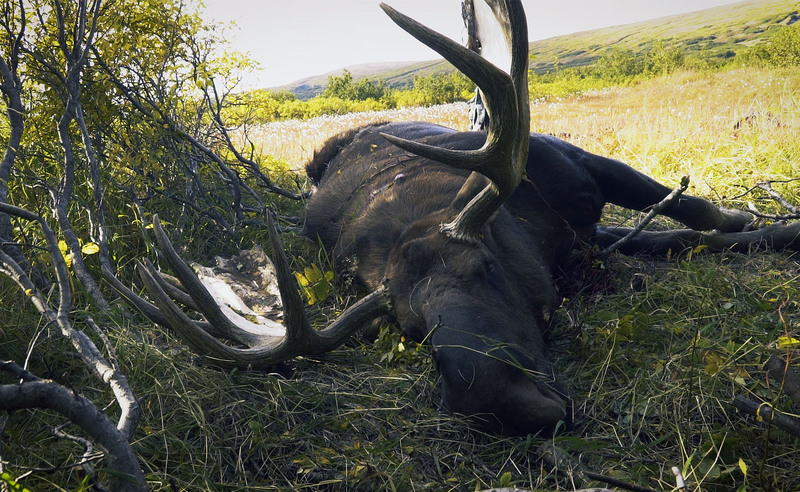 On the next episode of Self-Guided Hunting in Alaska, the hard work really begins as Ian and Steve begin the challenging task of packing out the massive bull moose and carrying the meat closer to camp.